Borussia Dortmund celebrate their dramatic late winner at Hertha Berlin. Bayern Munich needed a second-half goal from defender Javi Martinez to edge past visitors Hertha Berlin 1-0 on Saturday and join leaders Borussia Dortmund at the top of the Bundesliga. Some seven points behind Dortmund only a few weeks ago, Bayern have now won 10 of their last 11 league games to draw level on 51 points. But they stay second on goal difference and Dortmund could reclaim the outright lead on Sunday if they avoid defeat when they host an in-form Bayer Leverkusen on Sunday. 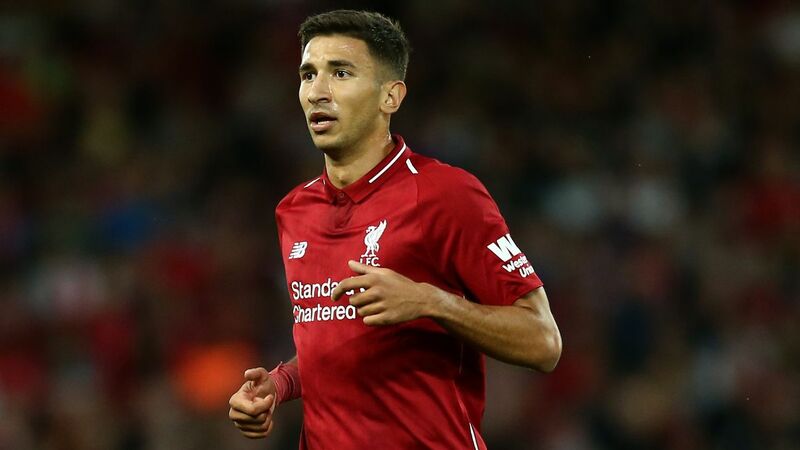 Marko Grujic, 22, has played just 14 games for Liverpool in three years but is still held in high regard by the club.